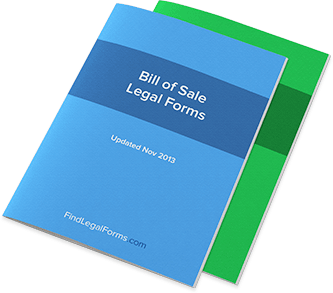 India Bill of Sale Forms. For Immediate Use. Bills of Sale are written contracts that record the transfer of property form one party to another and provide a written record of the transaction and legal protection should a dispute occur. Bill of Sale forms for use when buying or selling personal property such as vehicles, motorcycles, boats, mobile homes, animals, equipment and more. A written Bill of Sale will serve as proof of ownership. Automobile Bill of Sale (India) This Automobile/Vehicle Bill of Sale and Disclosure Statement is designed for use in India. This form is available for immediate download. Bird Bill of Sale (India) This Bird Bill of Sale is designed for use in India. This form is available for immediate download. Boat/Vessel Bill of Sale (India) Form to use when buying or selling a Boat or Vessel in India. It offers the option to sell the vessel “as is” or with a warranty. Cat Bill of Sale (India) This Cat Bill of Sale is created for use in India. This form is available for immediate download. Dog Bill of Sale (India) This Dog Bill of Sale is created for use in India. This form is available for immediate download. Exotic Animal Bill of Sale (India) This Exotic Animal Bill of Sale is designed for use in India. This form is available for immediate download. Horse Bill of Sale (India) This Horse Bill of Sale is created for use in India. This form is available for immediate download. Mobile Home Bill of Sale (India) Form to use when buying or selling a mobile home in India. The mobile home can be sold "as is" or with a warranty. Motorcycle As Is Bill of Sale (India) This Motorcycle "As Is" Bill of Sale and Odometer Disclosure Statement is designed for use in India. This form is available for immediate download. Motorcycle Bill of Sale (India) This Motorcycle Bill of Sale and Odometer Disclosure Statement is designed for use in India. This form is available for immediate download. A Bill of Sale is a legal document typically drafted by a seller that transfers title and ownership of specific property to a buyer and affirms in writing that a transaction of sale has been conducted and agreed upon. What types of Bill of Sales are there? There are two types of Bills of Sale: an Absolute Bill of Sale and the Conditional Bill of Sale. Absolute Bill of Sale - is simply a contract of sale of goods. It does not hold or represent any form of security. Conditional Bill of Sale - to hold or represent a security. In this case an individual assigns or transfers property to serve as security for the payment of money. Can a Bill of Sale be used for live animals such as pets? Yes. Although pets (e.g. cats, dogs, birds) do not have title, pets are considered personal property. Thus, when you purchase or buy the pet you are transferring ownership of the pet from the previous owner (an individual, store, breeder, etc.) to the buyer. What is the purpose of a Bill of Sale? A Bill of Sale’s primary purpose is to serve as a legally binding document evidencing the transaction (i.e. the transfer of ownership/sale). In addition, the information on a Bill of Sale can help you track your personal or business assets. This information can be useful in conducting an audit or inventory control of physical property, calculating financial and accounting expenses and/or calculating tax deductions. What is an “As-Is” Bill of Sale? An “As-Is” Bill of Sale is a document whereby the seller does not warrant or guarantee the condition of the property being sold. However, even if the Bill of Sale does not state that the property being sold is “As-Is” then it will generally be interpreted that the property is sold without any warranties or guarantees. The “As-Is” statement provides more protection to the seller because the buyer cannot assert that the parties had any prior oral agreements regarding the state or quality of the item being purchased. What are the requirements for a Bill of Sale? Date of the sale transaction. Seller’s Information, which includes the seller’s name, address, phone number, etc. Buyer’s Information, which includes the buyer’s (purchaser’s) name, address, phone number, etc. Sale/Purchase Amount or Value Received. The purchase/sale amount may also be referred to as the consideration amount. Description of the Property Being Sold. The description of the property should be specific and detailed. For example, if you are buying a home, this would include the legal description and address of the property being purchased. In buying a motor vehicle, this would the VIN number, DOT number, serial number, etc. Can a Bill of Sale be handwritten? Generally a handwritten Bill of Sale will be a valid and enforceable legal document, provided that the handwritten Bill of Sale meets the requirements above. However, there are certain federal and state laws that require a Bill of Sale in certain sale transactions to be completed and signed on a statutory form. In these cases, such forms may require the seller to type the information regarding the sale. Who signs a Bill of Sale? A Bill of Sale must be signed by the seller. However, many Bills of Sales require that both parties (Seller and Buyer) sign. If the Bill of Sale is not signed by the seller it will be deemed incomplete and not legally binding. 9) What state laws govern Bill of Sales? There are different bodies of state laws that govern a Bill of Sale and set forth statutory requirements for a Bill of Sale to be valid and enforceable. Typically the governing body of law depends on the purpose of the Bill of Sale. For example, a state’s real estate commission will have certain regulations that need to be followed when drafting a Bill of Sale regarding real estate or real property. Bills of Sale for motor vehicles not only are subject to state laws, but also to the applicable state’s Department of Motor Vehicle (DMV) requirements. Where is a Bill of Sale enforceable? A Bill of Sale is accepted and recognized in all states regardless if the document was drafted and executed in another state. Does a Bill of Sale have to be recorded? Generally a Bill of Sale does not need to be recorded or filed with a court or governmental agency (this may vary depending on state law). However, there are certain sale transactions, such as a home purchase, that require proof or evidence that ownership has been transferred from the seller to the buyer or purchaser to be recorded. In these cases, a Bill of Sale may be subject to recording requirements. Unlike other sites, every document on FindLegalForms.com is prepared by a lawyer, so you can be sure that you are getting a form that is accurate and valid in India. Our team works tirelessly to keep our products current. As the laws change in India, so do our forms.